I made the mistake of posting my best-of-2018-culture list with a handful of days left before the year ended. If I’d waited until the countdown clock was further down, I’d have surely included the play I saw on December 29th: Heidi Schreck’s What the Constitution Means to Me. Schreck’s virtuosic show revisits her teen years, when she participated in civics competitions giving speeches about the US Constitution. She excelled, and with her prize money she paid her way through college. Schreck loved the Constitution; today, her feelings are more complicated. Over two hours, she unveils the many broken promises of our founding document and its amendments — promises broken to people of color, to native people, to immigrants, and (in her particular focus) to women. We’re reminded, for example, that the word “male” was explicitly introduced in the Reconstruction amendments in order to clarify that voting and other citizenship rights were withheld from women. And we hear about a more recent Supreme Court decision explicitly finding no guarantee to government protection from domestic violence — three women a day are murdered by their intimate partners, the people who are supposed to love them — among the essential rights of American women. But What the Constitution Means to Me is not cynical. Wound together with this strand of betrayal in the double helix of our legal and social story is a strand of perfectibility, capacity for improvement, potential for progress. For rights have been expanded, though slowly and far from surely. Most poignantly, Schreck brings on a young woman at the end of the show — a current participant in Constitution competitions. The fourteen-year-old I saw, a young woman of color, passionately defended the Constitution. The young woman who debated Schreck quoted Lincoln: we should seek not to “overthrow the Constitution, but to overthrow the men who pervert it.” And, she said, the fact that she and Schreck were on stage debating its merits at all testified to its ability to evolve. 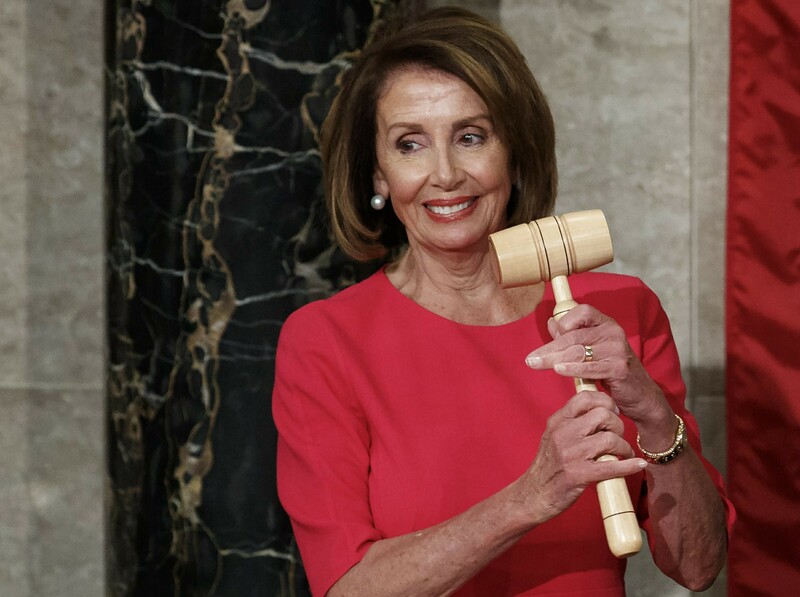 For now, we celebrate Speaker Pelosi, the new members of Congress, and the many women who will be throwing their hats into the presidential ring. For the first time, we will see multiple female frontrunners on a presidential primary debate stage. At some point in the show, Schreck mentions thinking at age fifteen that birth control had been legal forever. She notes that it had been legalized nationally in Griswold v. Connecticut the year she was born — for her, in effect, it had been legal forever. This moment stuck with with, because our Constitution’s failures — especially in the current moment — are all too obvious. But it’s hard to remember our successes. Even recent, they may seem to us inevitable if they came in our youth or in the years before our births. We risk forgetting that “every drop of decency is fought for” — but, critically, that decency can be won. The Constitution is the ship we have found ourselves on to traverse the seas of history. It keeps us afloat but takes on water — weighing down far too many of our fellow citizens, as well as others striving on American soil. And yet we continue to mend and modify it, seeking surer security and fairer navigation into the future. Thank you to Schreck for giving such vivid life to that complexity.